Toyota Motor is recalling its Prius and C-HR vehicles globally due to the risk of fire. According to the company spokesman, Jean-Yves Jault, there has been one reported case of a vehicle emitting smoke but no injuries were reported. More than a million of such vehicles are affected and will be recalled by Toyota. According to report number 4327 posted on Toyota website, the risk of the vehicle catching fire is caused by bad electrical wiring in the engine room. Apparently, due to negligence, the engine harness connected to the power control unit is at risk of wear and tear over time. The wear and tear of the engine harness may potentially lead to short circuit or even catch a fire. The solution as stated in the report is to install protective materials to eliminate the risk of wear and tear in the engine harness. 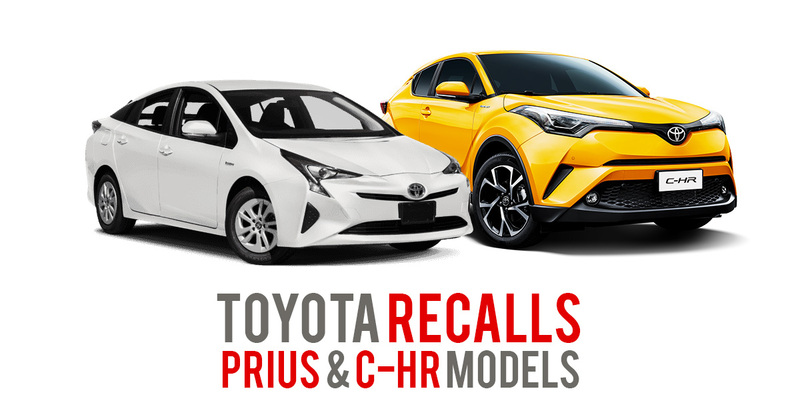 The recall affects the current generation of Prius (produced from 2015) and the hybrid version of C-HR (produced from December 2016 to May 2018). For Singapore cars that are affected, we are waiting for recall notifications from LTA. Once the recall notification is out, we will advise our customers in batches to have the necessary parts replaced. The safety of our customers is our top priority and is one of our important commitments to excellent service standards. To our Cars & Stars’ customers who are affected by this recall, we will send you an email regarding this matter as soon as we get recall notifications from LTA. If in case you did not provide us with your email previously, please submit your particulars here. Otherwise, we will send the information to you by mail. Please be assured that Cars & Stars will give you all the necessary assistance needed for this recall. Thank you. Want to get updated with latest announcements, info and news regarding vehicle recalls? Here are simple ways to get all these recall information. *Be a part of our growing community and get recall notifications and other car news straight from your Facebook News Feeds. * Any updates, notification and announcements regarding recalls will be compiled and posted on our news page. Please be informed that all the information provided above were translated from Japanese to the English Language. All information was translated with our utmost ability. We will not be responsible for any wrong information herein provided.